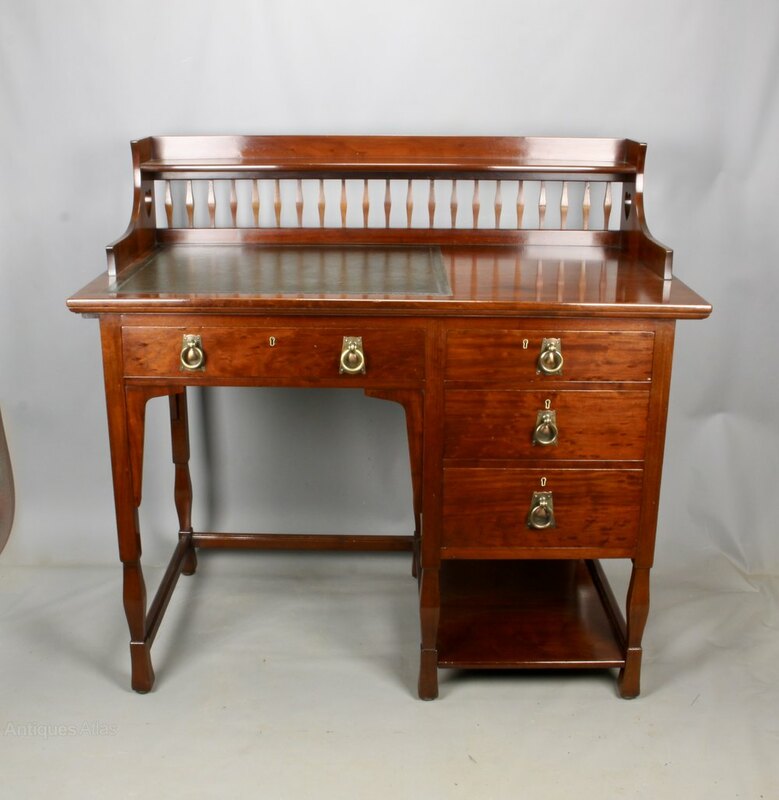 A wonderful Shapland and Petter Arts and Crafts mahogany desk, dating to circa 1900, with lovely original handles and a turned spindle gallery with two pierced hearts to the ends. 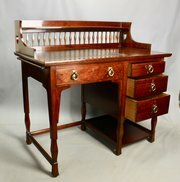 A very practical size with a range of useful drawers, bottom shelf and pull out slide to the left hand side. 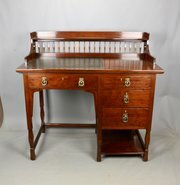 It is presented in excellent condition, commensurate with age, having been re polished and with replacement desk leather. The lock plates are stamped S + P B for Shapland and Petter of Barnstaple. It measures 107cm (42") wide plus the 30cm (12 ") slide, 58.5cm (23") deep and 100.5cm (39 1/2") high to the superstructure. 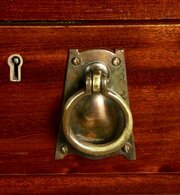 Free delivery within Somerset, elsewhere please contact me for a delivery price, likely £85.00 for courier delivery within England.